The Wooden Brooch made from Pine Burl or Mountain Laurel. The Brooch needs to be at least 2 inches in diameter to cover the clasp. The Brooch can be larger. 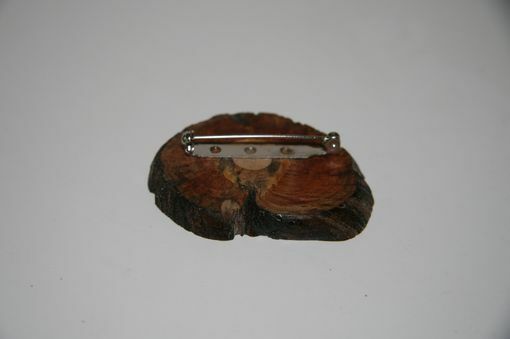 I also have a smaller Wooden Brooch available that has to be at least 1 inch in diameter to cover the clasp. 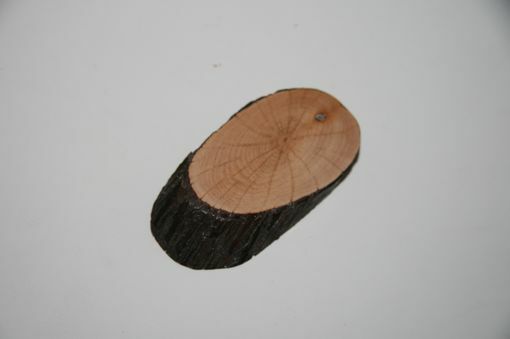 It takes 24 steps to take the wood slice from branch to being ready for jewelry. 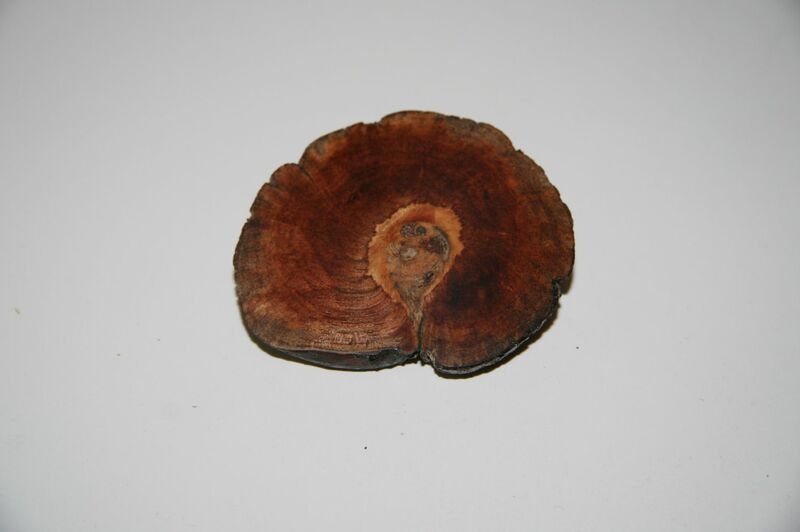 A Pine Burl is an abnormal growth that erupt from one side or all the way around a branch. 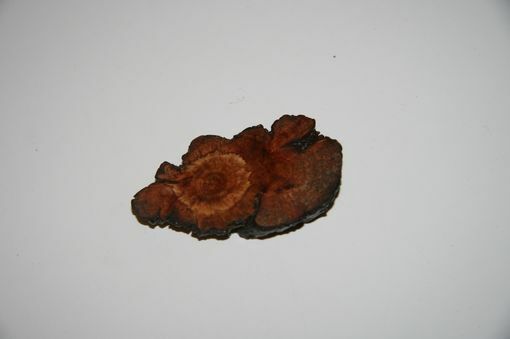 It is a layered burl, like an onion, one layer is on top of the previous layer. Mountain Laurel is a slow growing, misshapen tree. It takes approx. 25 years for a branch to grow to 1 inch in diameter. 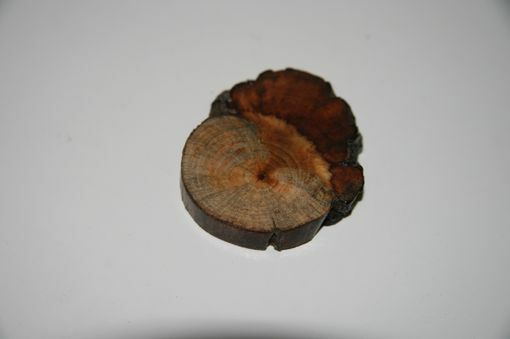 You can easily count the growth rings on the wood. 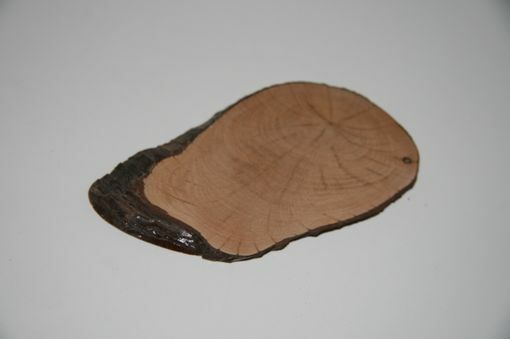 Due to the variations in the Pine Burls and the Mountain Laurels, when I know what size you are interested in, I can email you pictures for you to select the wooden slice you like.